カナダ人噺家　桂三輝（かつらさんしゃいん）のバイリンガル修業ブログへようこそ！2008年9月1日に桂三枝に弟子入りし、桂三輝となりました。現在は日本中ただ一人の外国人噺家として落語修業中！My name is Katsura Sunshine and I am a traditional Japanese Rakugo storyteller. Welcome to my blog! Ladies and Gentlemen, my blog has moved! Please follow the link to my new home!!! 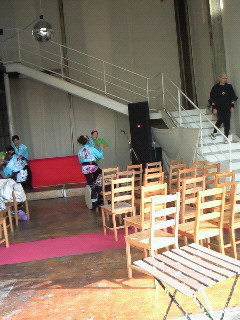 Mugendai Hall Katsura Sunshine Rakugo Show! Tickets for my next show went on sale today! If you can come, please do. Details are at the link above. I'm getting hooked on YouTube. If you have a minute, please check me out! 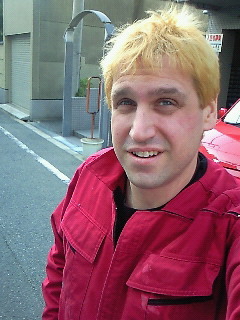 Happy and you know it if very polite Japanese! 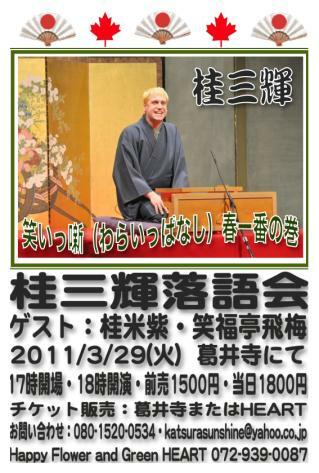 A little bit on Rakugo! 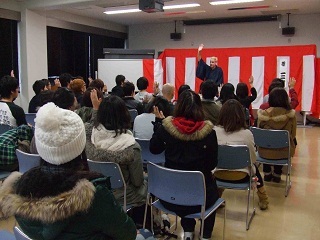 Pictures from my performance last year at Tokyo Gakugei Universtiy. I was once a student of Japanese there so it's always so much fun to go back!! The show I was on is up on NHK's homepage. If you like, please check it out!!! Thank you NHK for a great little piece on me! 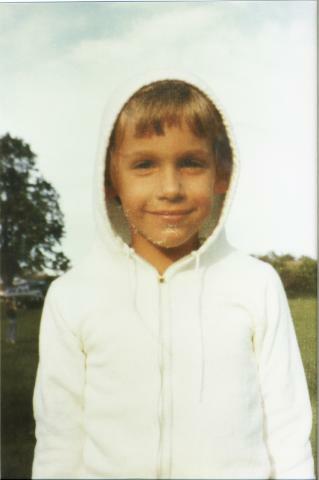 Katsura Sunshine (Greg Robic) was born and raised in Toronto, Canada.His musical adaptation of Aristophanes' Clouds ran for 15 months at the Poor Alex Theatre and later toured Canada. 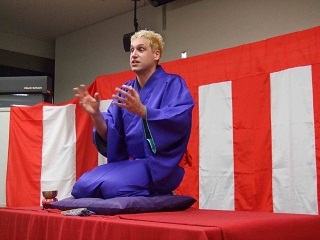 He is the first foreigner in Japanese history to undertake the grueling Japanese Rakugo Storytelling apprenticeship (shugyo), which he began under the great Rakugo Master Katsura Sanshi in September 2008. This blog is the bilingual account of his life as a Rakugo apprentice. (C)2004-2008 eje.Inc. All Rights Reserved.